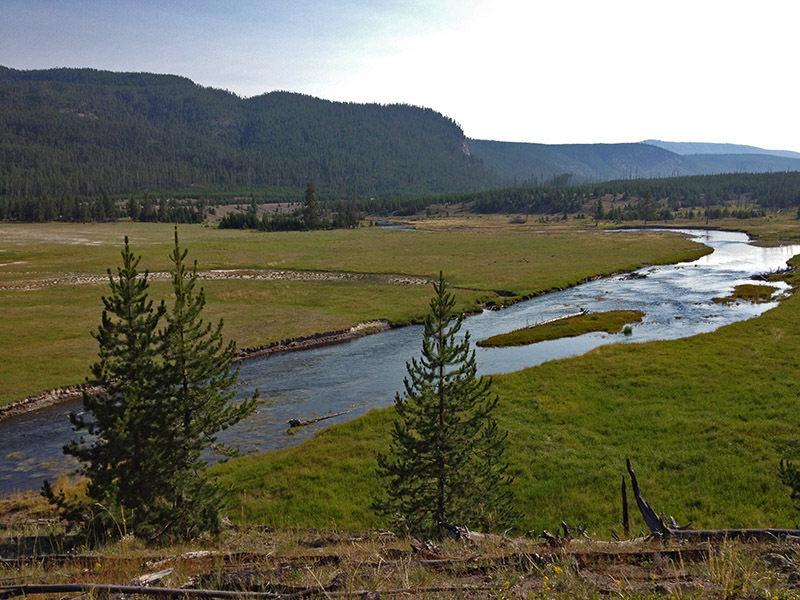 A river crossing in Yellowstone National Park, part of the Nez Perce National Historic Trail. Chief Joseph of the Nez Perce people had promised his dying father that he would protect their homeland. The tribe had signed a treaty with the U.S. government that protected much of their ancestral lands. Known for their peaceful ways and maintaining exemplary relations with the United States, the Nez Perce lived for a time as they had. Before long however, the government began altering the terms of their treaty — a new proposal would involve siezing much of the tribe’s lands on behalf of mining interests. Chief Joseph and his band of the Nez Perce chose not to sign the new treaty. The U.S. Army was then given orders to force the Nez Perce onto reservations and in 1877, hundreds of members of the tribe began a retreat, evading the 7th Cavalry for months on foot and horseback. After crossing the treacherous Rocky Mountains at Lolo Pass, the tribe engaged in battles in Idaho, Big Hole, Montana and and the newly created Yellowstone Park. They continued for more than 1,000 miles toward the Canadian border, where they had the chance to be free. After months of casualties on both sides, the Nez Perce arrived within a hundred miles of the Canadian border where they were forced to surrender. Chief Joseph’s speech on that day contains the line “From where the sun now stands, I will fight no more forever.” After surrendering, members of the tribe were relocated to a reservation in Oklahoma. Some members of the tribe were permitted to return to their homeland eventually, where they were assigned to reservations.